A Go To Behavior (beGoto) finds a path to reach a target for an Entity. 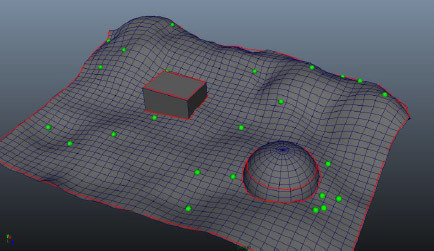 To use a Go To Behavior, the Terrain Locator associated to the Crowd Manager must use a NavMesh. This behavior needs to run in parallel with a Navigation Behavior to allow Entities to avoid obstacles and other entities. See how to properly handle dual Behaviors here. Unlike the other behaviors, the Go To Behavior automatically stops when an Entity reaches its target. If its Stop Trigger triggers before, it will stop according to this trigger. A Go To Behavior defines the following specific attributes. For common attributes see Behavior Common Attributes. The Go To Behavior relies on the Entity bounding cylinder, its Radius and Height parameters are set in the EntityType. 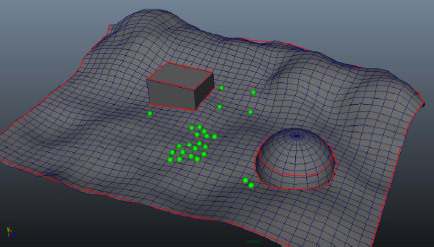 If this mode is selected, each Entity will be assigned to a random valid & accessible target on the NavMesh. The targets can neither be viewed nor edited. 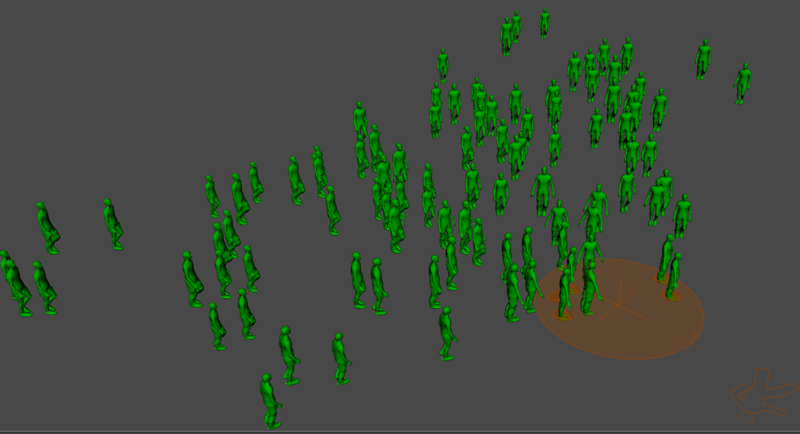 This attribute is influenced by the random seed of the Crowd Manager. If this mode is selected, each entity will have a target given by the expression in the In Target Expression attribute. 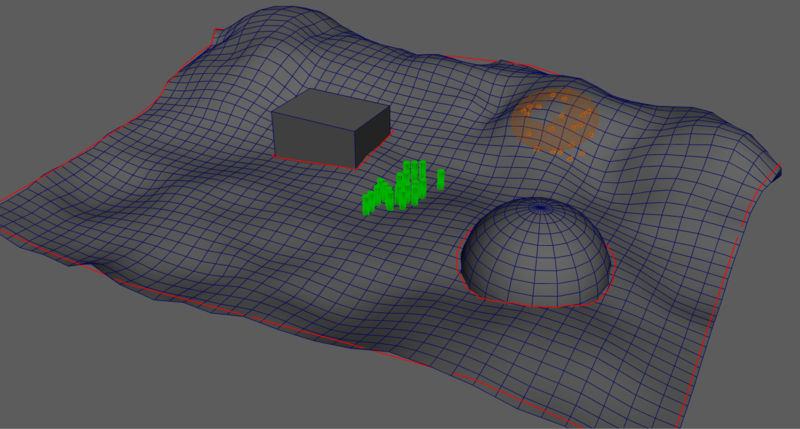 If this mode is selected, each entity fill follow a curve among the ones that are mapped to the GoTo Behavior. Target Flee Threshold If the Reach Mode is set to "Flee", the target is considered reached and the Go To Behavior stops when the distance to the target is higher than this threshold. 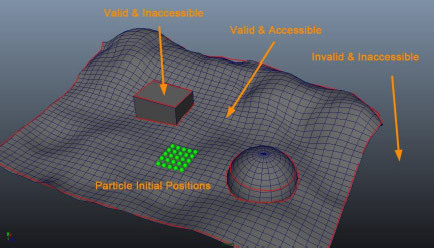 In Vector Field Locator Paintable Vector Field locator which will influence the way the Entities will reach their target. In Target Poptool See "Use Target Poptool" mode above. Random: the population tool slots are assigned randomly. A random slot of the poptool will be chosen as target each time the behavior is restarted or if "Target is Dynamic" is checked. 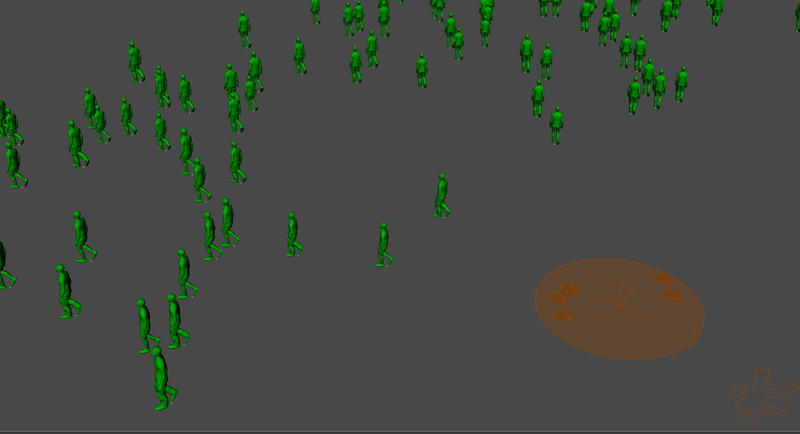 In Particle System See "Target Particle System" mode above. Target Id PPName See "Target Particle System" mode above. Target PPName See "Per Particle Target Attribute" mode above. Follow Curves The curves to follow. This attribute determines how the curve is sampled. The GoTo behavior picks up a number of points on the curve that are used as waypoints to reach. Curve Sample Count The number of points to use on a curve in Uniform curve sampling mode. Auto Path Lateral Offset When enabled, this computes the lateral offset to the path to follow autiomatically, according to the inital distance to the curve. The Target Is Dynamic checkbox must be checked for a moving target. When enabling this option, the Target Update Period becomes available. 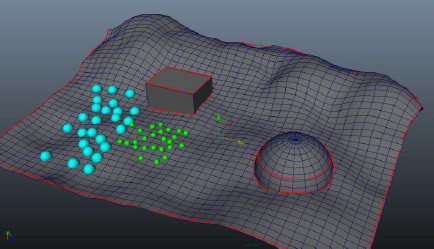 When using dynamic targets, the path of the Entity to the target will be recomputed during the simulation. When using dynamic targets, it is possible to make two particle systems target each other (i.e. for battle scenes). Target Update Period This parameter defines the number of frames before recomputing the path to the target (which means that during this time, the target's position won't change). Keep in mind that computing the path to the target is a heavy operation that can decrease the performance of the crowd simulation, especially if the target update period is low. Path Follower Update Period The number of frames before updating the path local target. Lower values can decrease performance and are only needed in tight environments. 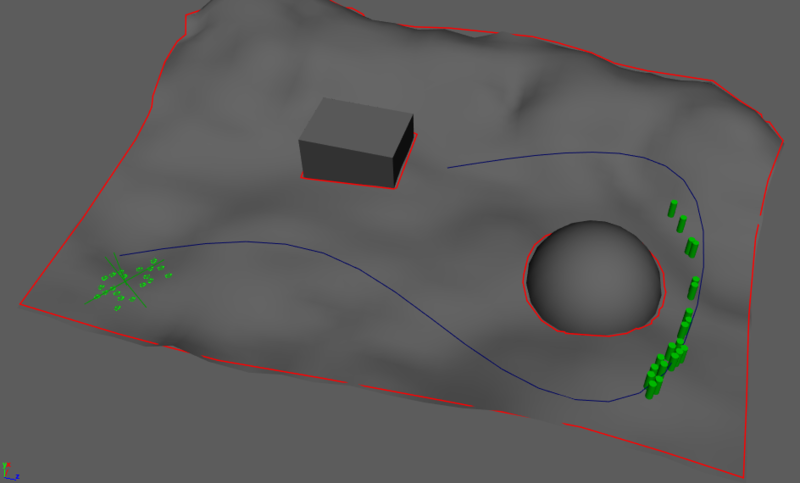 When following a path to the target, this parameter determines the offset of the entity to the path. A negative value means the entity will try to follow its path while keeping to the left of it by the amount of this parameter, a positive value means the entity will follow the path to the right, and 0 means the entity will stay on the path. The lateral offset is taken into account only if the Spread Ratio is greater than 0. The offset can be set either randomly, between Path Lateral Offset Min and Path Lateral Offset Max, or according to a per particle attribute. It can also be computed automatically in Follow Curve mode. Spread Ratio The factor to which to take lateral offset into account. If left to 0, no lateral offset is applied. Allow Collision At Start Enable this to allow computing a path that starts in a non-navigable cell. It will help only if it can directly reach a navigable one. May help obtaining successful path plannings near the navigable area borders, when the radius of the entity overlap an obstacle.